Dental implants are the marvel of modern dentistry. Here at Huntline, our dental implant expertise, our state-of-the-art technology, and our surgical facility set us apart as a dental implant leader in the Mid-Missouri community. Dental implants are devices that secure into your jaw bone and serve as a foundation for a replicated tooth. They are the best and most secure, natural-feeling tooth replacements. You’ll regain the ability to eat anything you want, smile freely, and have a natural facial contour. Dental implants can be used to replace one missing tooth, or they can replace a row of missing teeth. Dental implants can also serve as the base for both removable and fixed/permanent dentures. 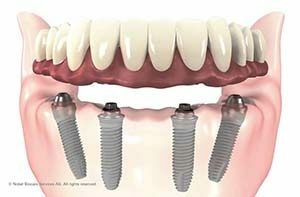 Over the last five years, our dental health care provider Dr. Sam Barnhart has completed in-depth training all over the country to learn the very latest dental implant surgical and fabrication techniques. They are excited to bring these techniques to the Mid-Missouri community. Dr. Sam has used that same training to take our implant offerings to the next level as well! Huntline Dental Group is proud to offer same-day Emergency Implant Placement for our patients! 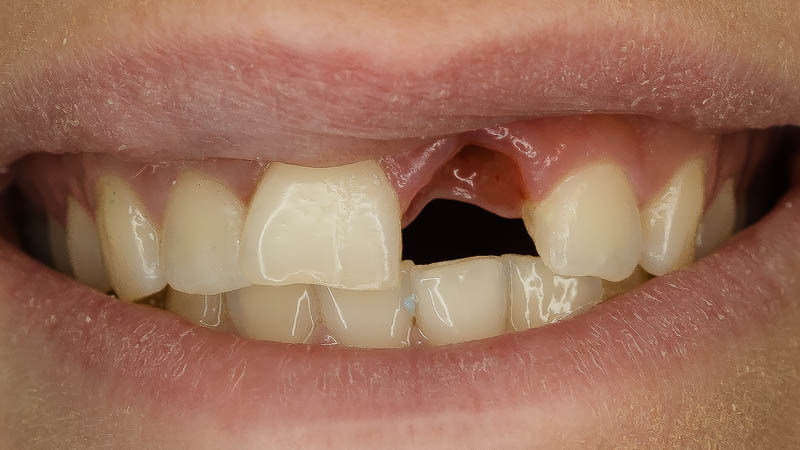 Whether you have sustained trauma to the front teeth, broke a tooth while eating or drinking, or simply have a tooth broken from decay, we can take care of you. 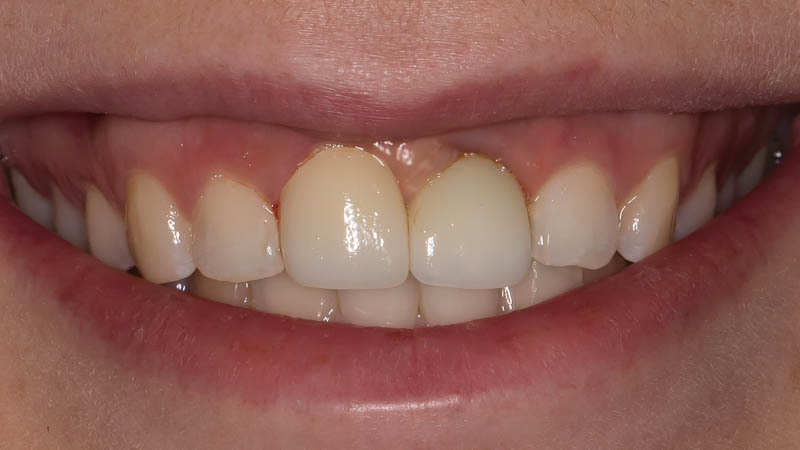 No one wants to walk around with a “hole” in the front of their mouth, and with our advanced 3D imaging, the use of PRF, and dental implants, we can temporize and correct this issue with one visit to our office. 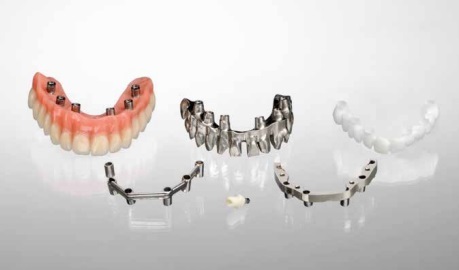 We have the technology and materials to create crowns, bridges, and dentures right in our office – often during your appointment. Huntline Dental Group is also an oral surgery center; we perform your implant surgery here. Since we don’t have to wait for a lab or send you to a separate oral surgery center, our implant procedures can be more efficient. If you have missing teeth, then you may have already experienced negative side effects, like difficulty chewing and embarrassment about your appearance. But missing teeth can also lead to bone loss in your jaw. Dental implants, and bone-grafting procedures during surgery, can stop this bone loss and stabilize your jaw bone long-term. Whether you have one missing tooth or a mouth full of problems – let us restore your teeth and your smile! We love serving patients who have not seen a dentist in years. Consultations are free (and they include CBCT and digital x-ray) – schedule yours today, and we’ll create a dental restoration plan that works for you.